Gain instant access to ERI's Nonprofit Comparables Assessor to set competitive pay for nonprofit executive compensation. 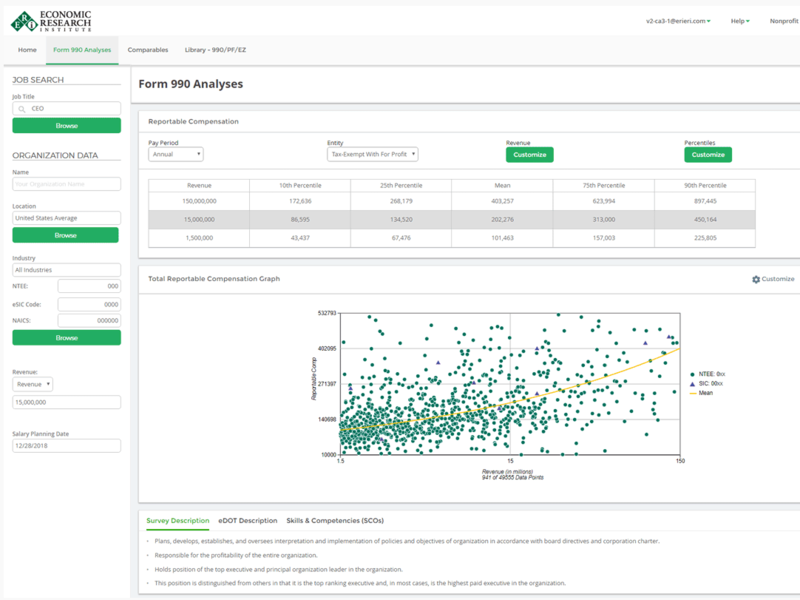 Review compensation data collected from nonprofit organizations' IRS Forms 990, 990-EZ, and 990-PF in easy-to-interpret interactive graphs and tables. 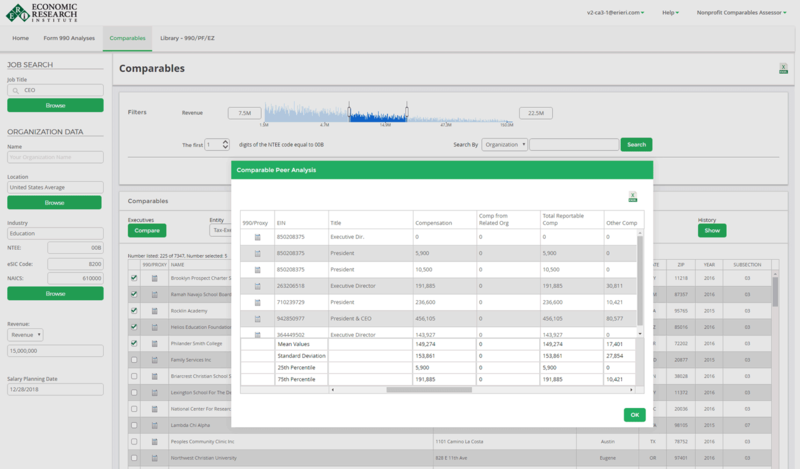 Generate benchmark reports with salary data from comparable organizations and easily view source documents. 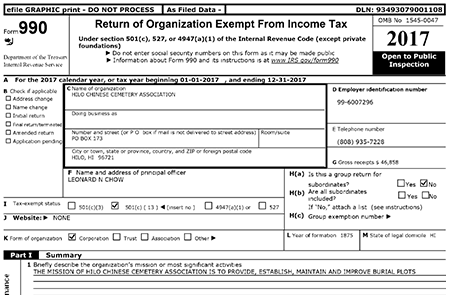 Group peer organizations, including for-profit data, with the detailed compensation comparables needed for a "rebuttable presumption of reasonableness" that protects an exempt organization from the imposition of intermediate sanctions taxes, penalties, and interest by the IRS (IRC 4958). 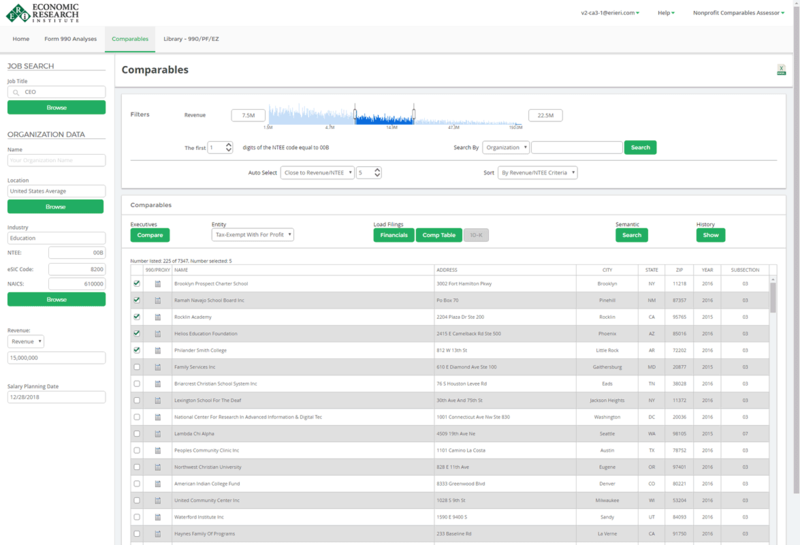 Search, rank and sort by subsector, geographic area, date and size (revenue, assets or grants). 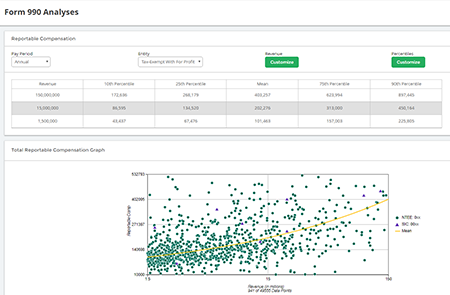 Calculate average competitive compensation levels, along with user-defined ranges and percentiles. The most recent publicly available data is provided for accurate benchmarking. 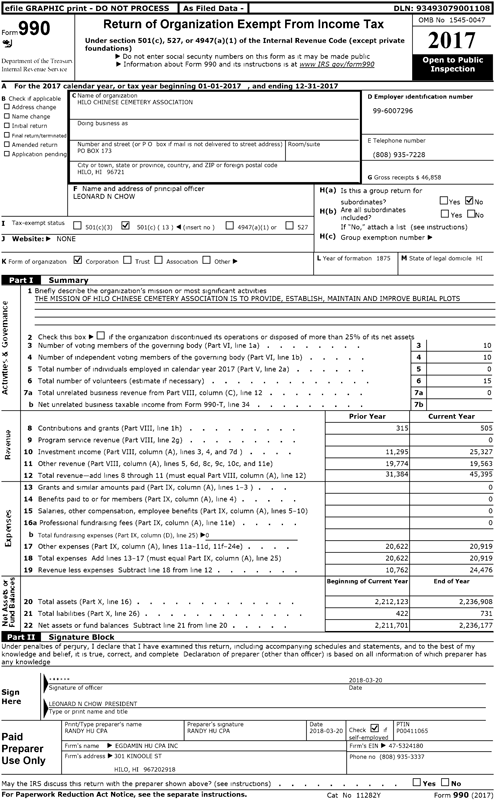 Access over 3.5 million forms representing more than 400 thousand unique organizations, searchable by subsector, geography, size, and date. Retrieve up to 10 years of historic data, including the most recently digitized Forms 990, 990-EZ, and 990-PF. 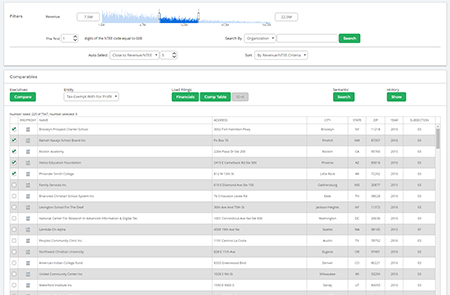 Easily view reports with compensation data from a list of companies with user-defined characteristics such as revenue and industry. 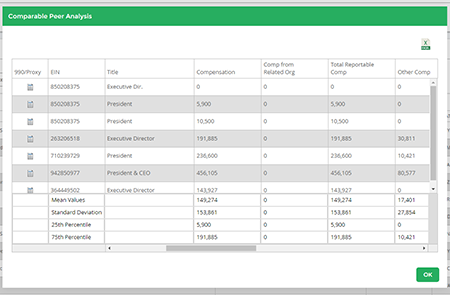 Analyze comparables from both nonprofit and for-profit organizations.